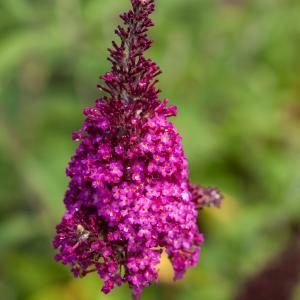 Funky Fuchsia™ Butterfly Bush has fragrant reddish-pink flowers. It attracts butterflies and has a tidy, rounded to upright habit. The glossy green foliage beautifully compliments the reddish-pink blooms that will continue to bloom into Fall if deadheaded.